Learn the chords of any musical instrument! 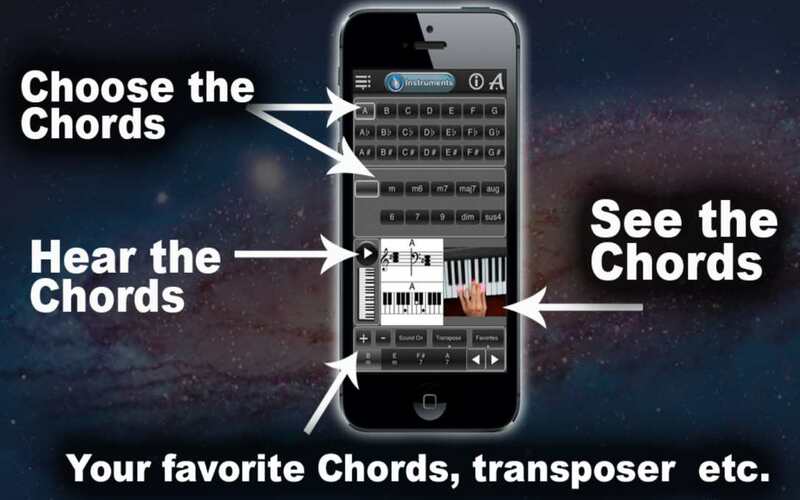 Handy chords will help you find the right chords for your music. There are 7 instruments to choose from, the full range of all chords and the authentic sound for each instrument! Instrumentspezifische notes or chord diagrams, as well as pictures of the finger positions of your chosen chords! Switch instruments with only one touch of the screen! Are you right or left-handed? Choose your preference in the app settings. Remember that piano chords can be played with any hand depending on the piece of music. Tap the Instrument button and select your instrument. Next, choose your chord (the key and chord). Tap the play button. Handy chords shows you this chord in notes (for the piano) or as a chord chart (for string instruments), as well as the finger position for this chord on your instrument. 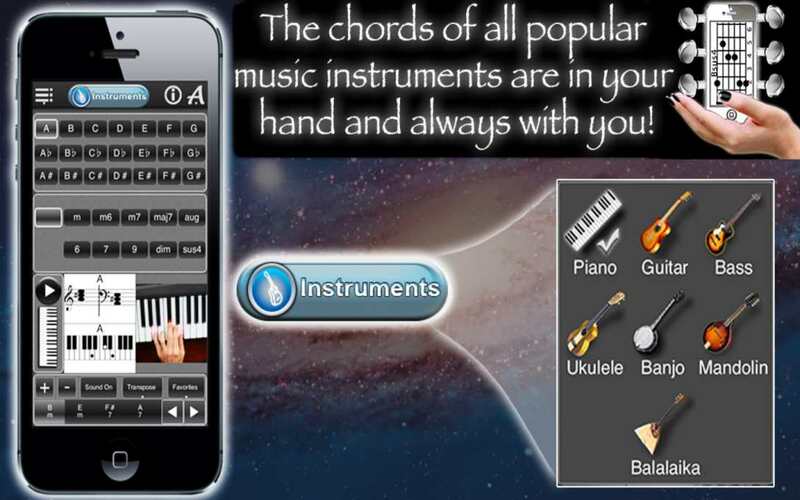 Try all chords on the same instrument or tap the Instrument button and switch to another one! 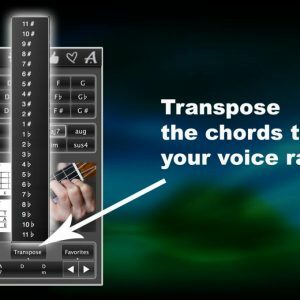 Handy chords also allows you to create your own chord sequences for your instrumental pieces or your lab. After you have selected your instrument, select the first chord and tap the plus sign. Add your next chord and tap the plus sign again. Continue to add chords until you have the sequence you want. 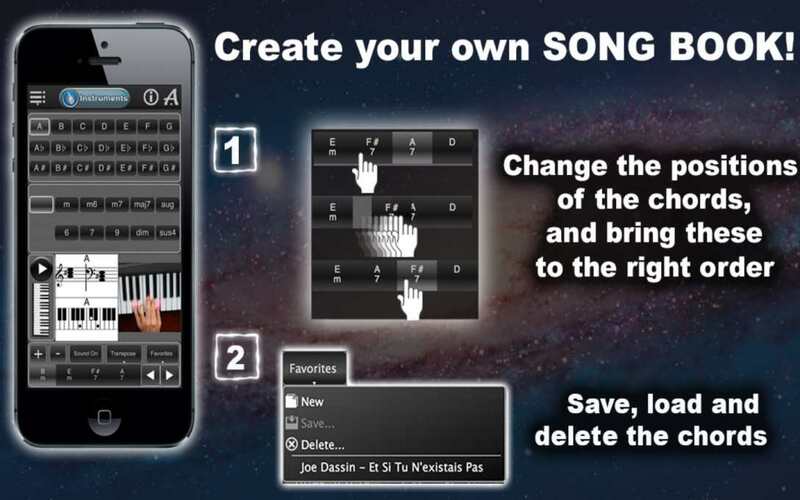 The app allows you to change the order of chords in your sequence. 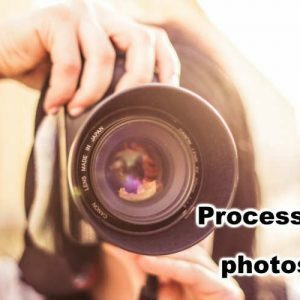 You can also transfer your sequence to a higher or lower pitch if you plan on using your instrumental piece sing along. 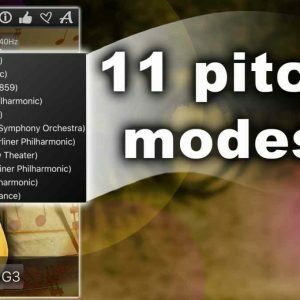 Use mobile chords to fathom the chords on 7 instruments! Download it now! 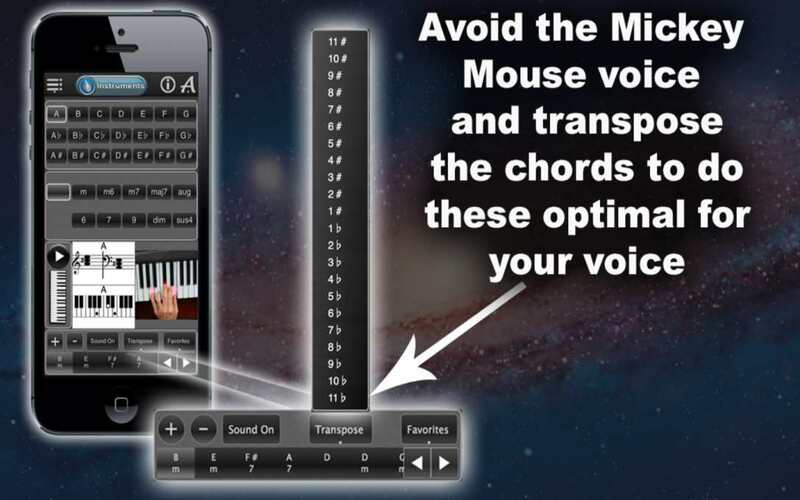 You can try the free version of cell phone chords Lite!